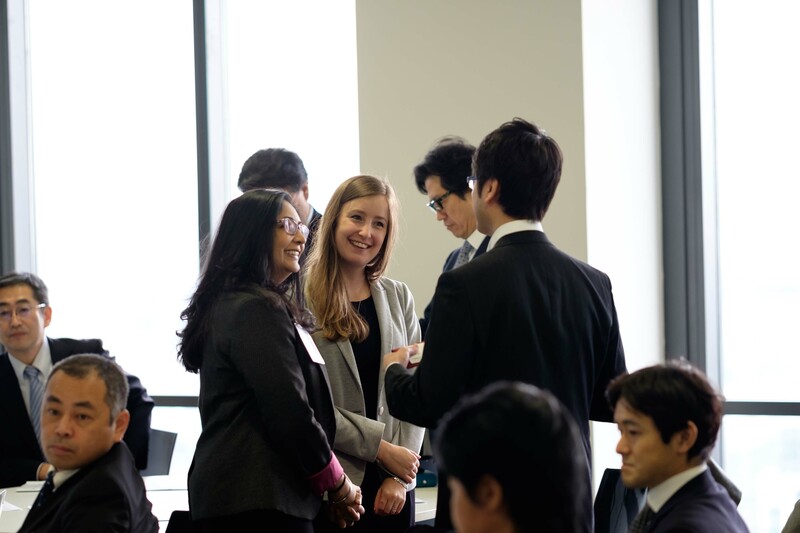 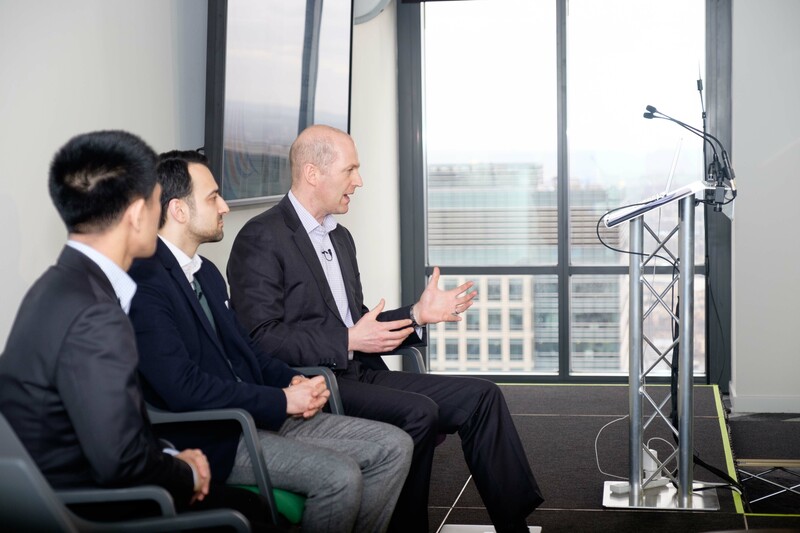 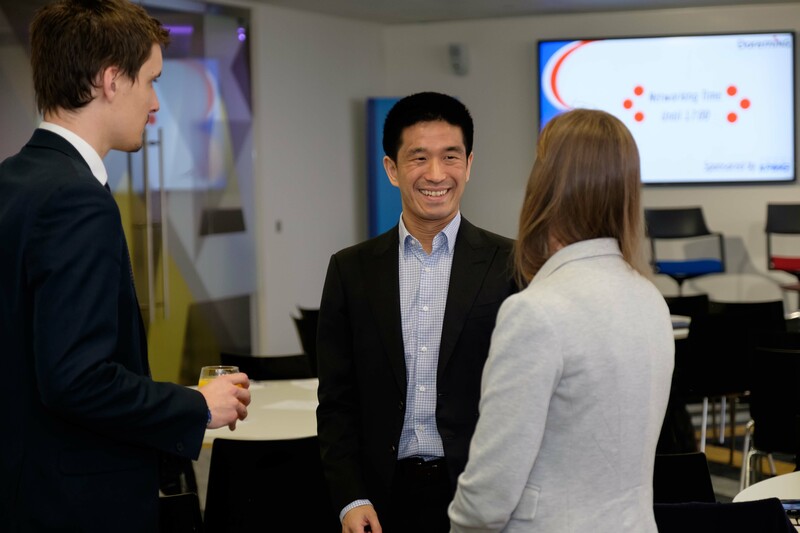 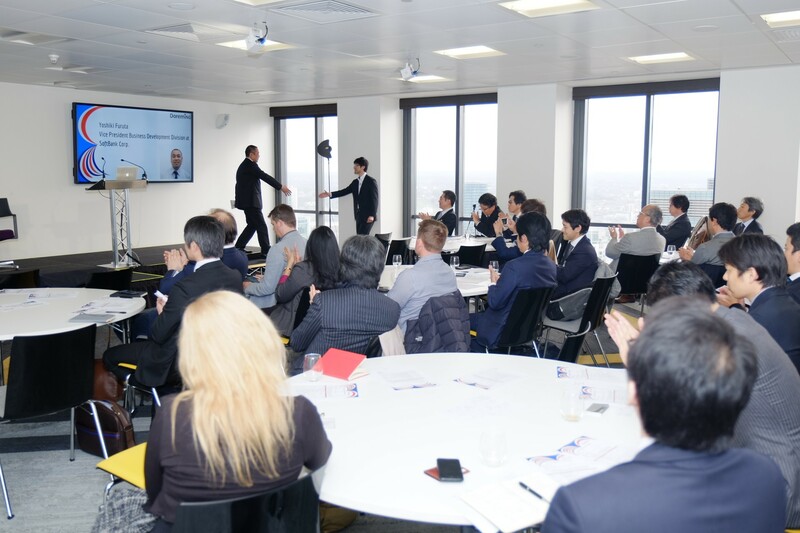 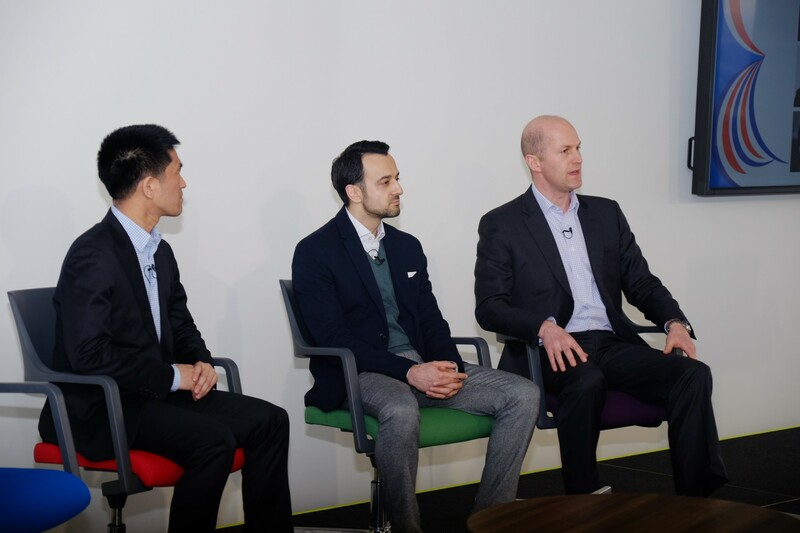 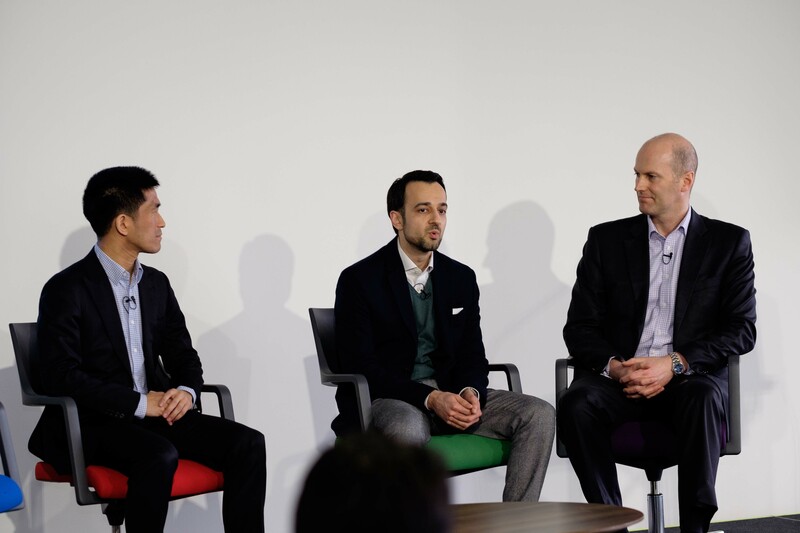 Doreming, a global financial technology company selected as one of the FinTech100 companies by KPMG in 2016 for its work on financial inclusion, organised an event on 17th March with over 70 attendees from the UK and Japan to increase collaboration. 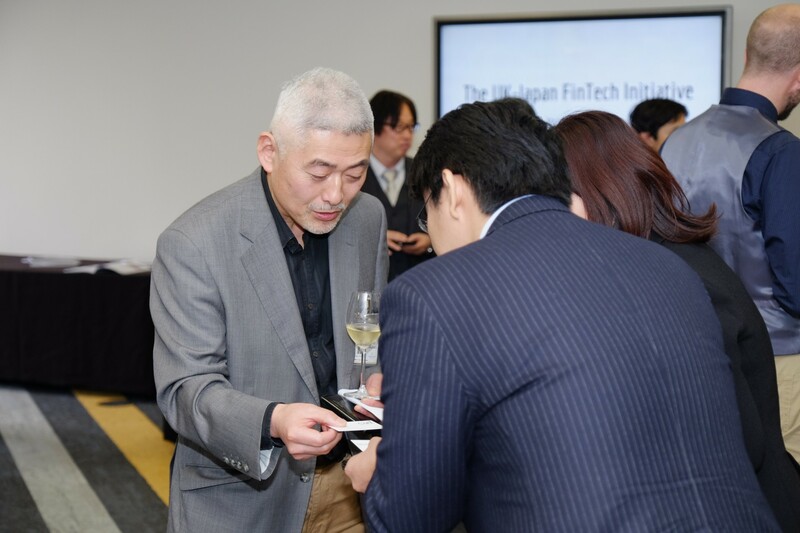 1) Promote the UK-Japan FinTech collaboration and innovation across governments, corporations, financial institutions and financial technology companies. 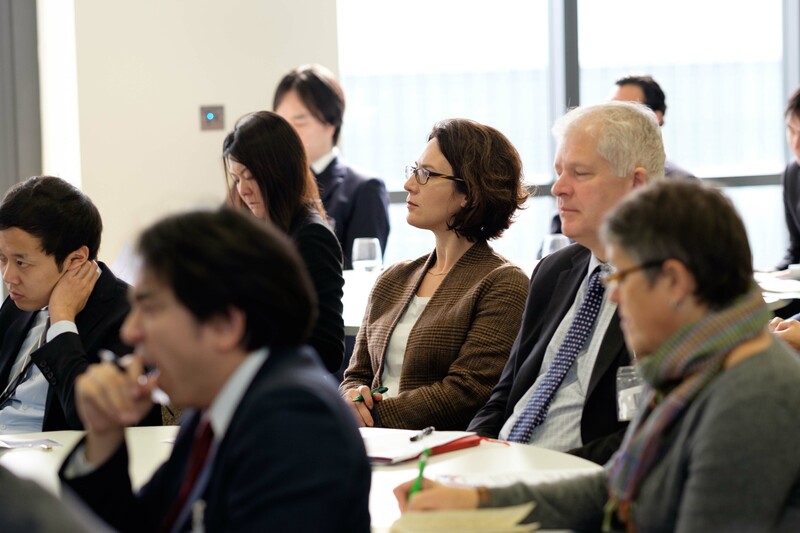 2) Examine how collaboration could tackle the UN Sustainable Development Goals and Financial Inclusion. 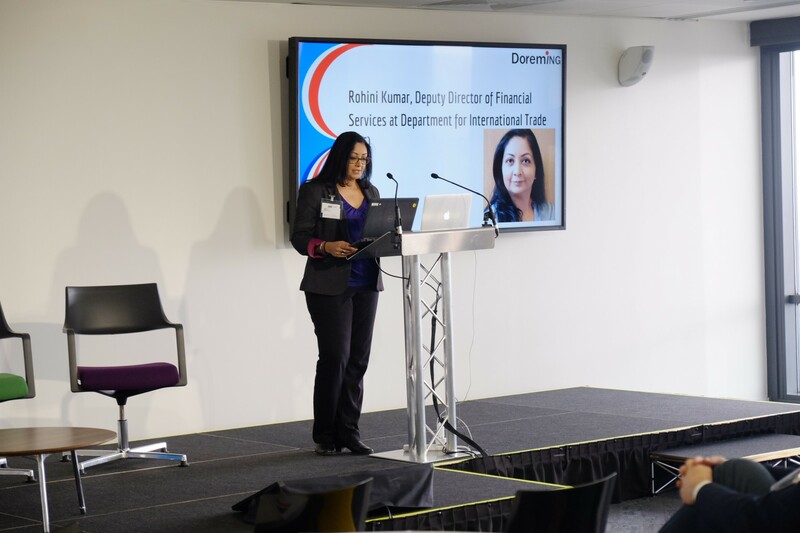 3) Discuss how Doreming’s Initiative can bring together public and private sectors to help tackle Financial Inclusion and UN’s Sustainable Development Goals. 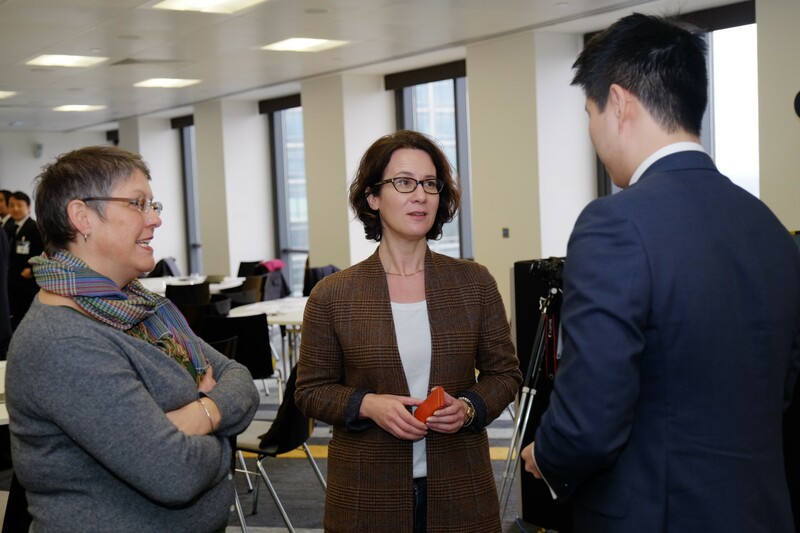 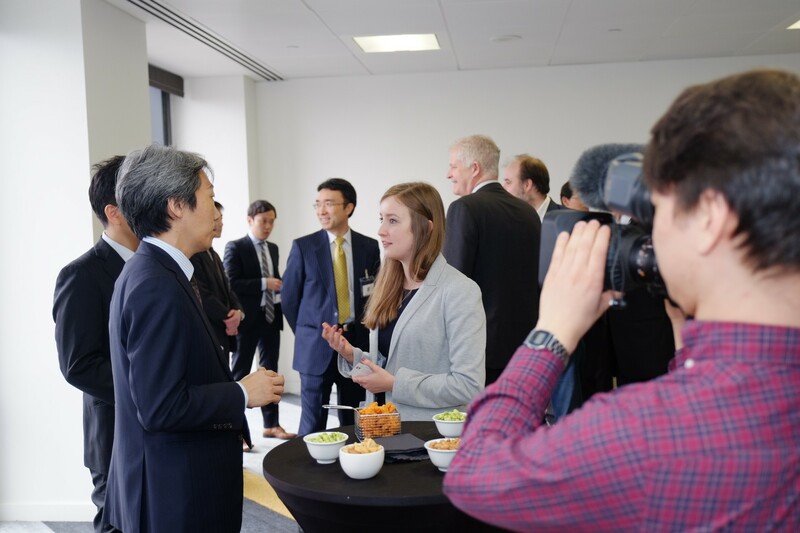 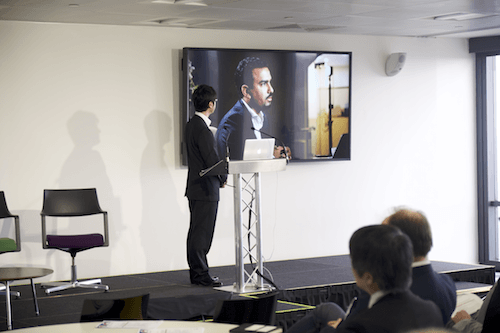 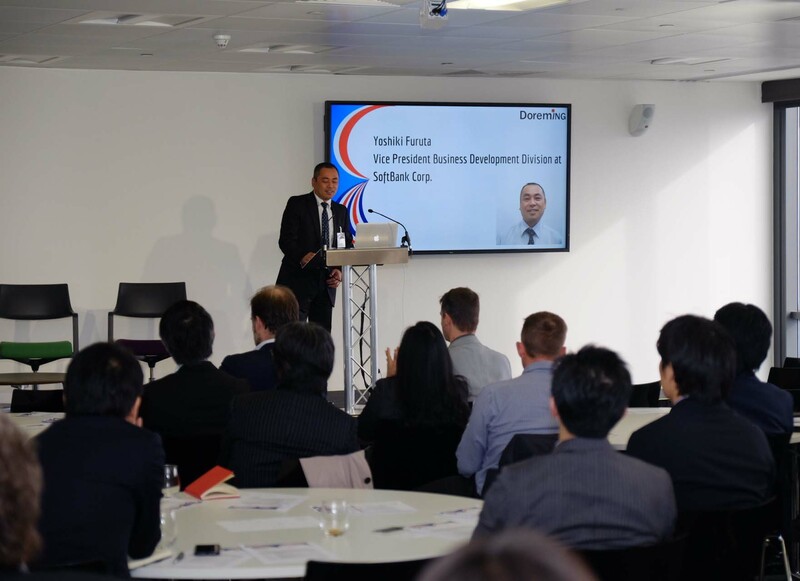 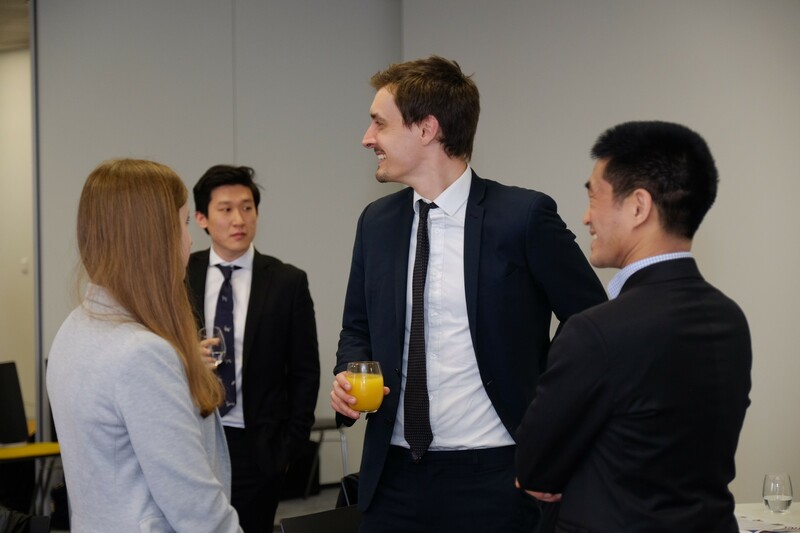 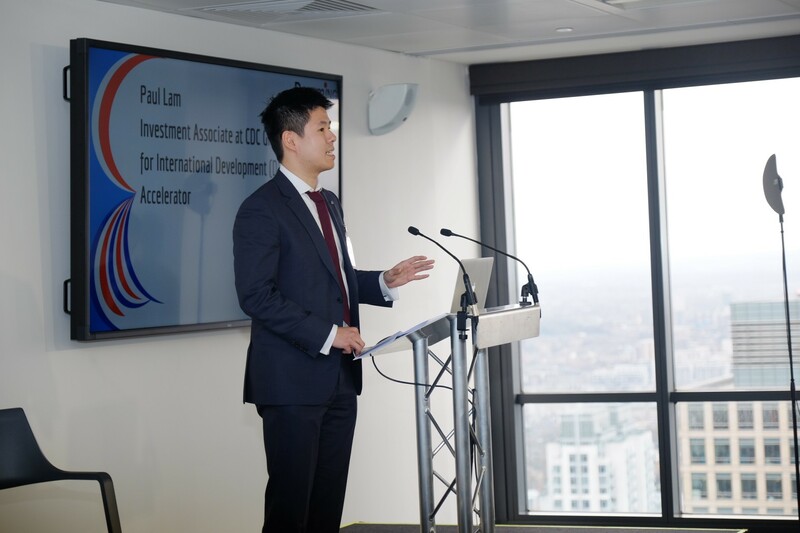 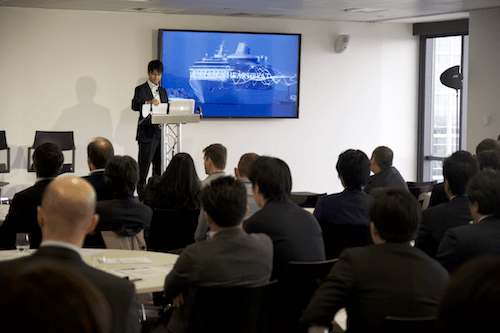 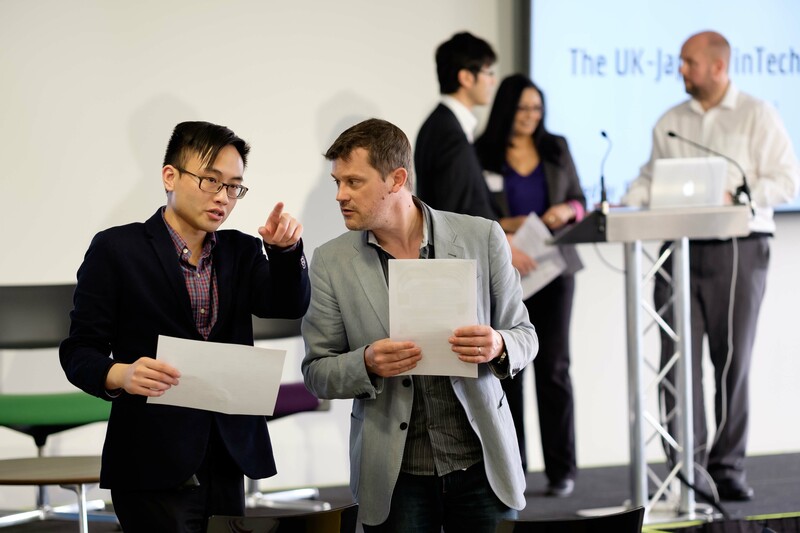 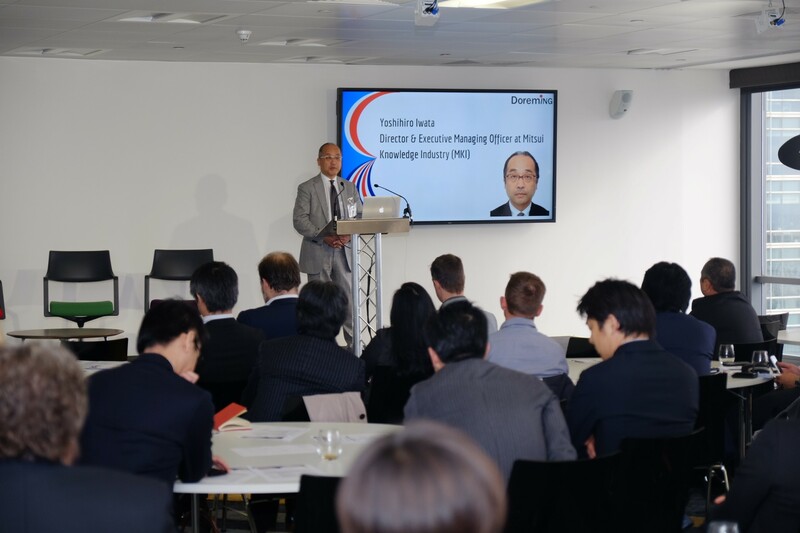 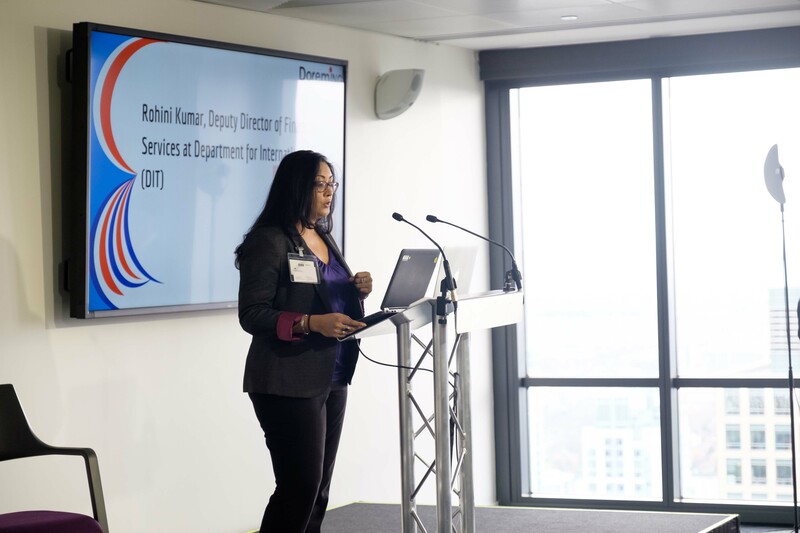 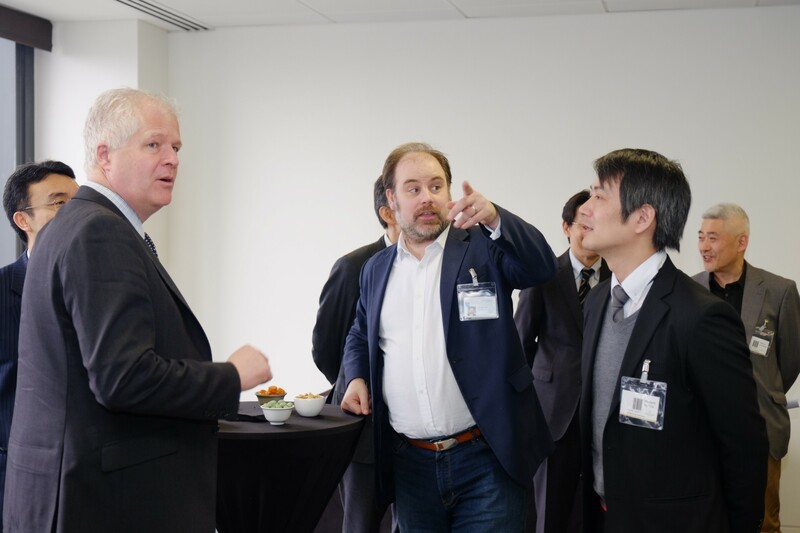 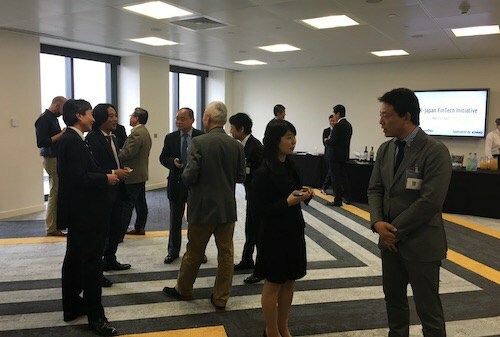 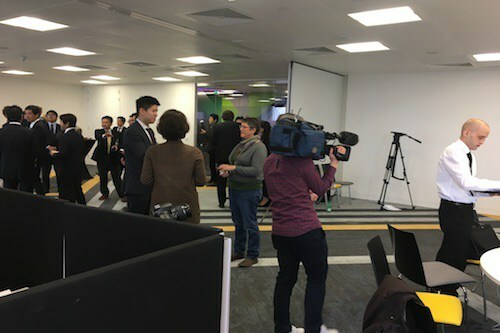 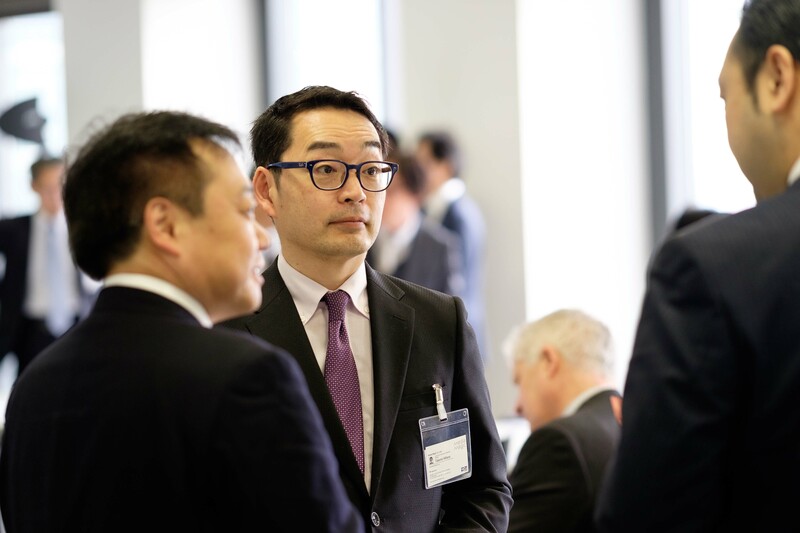 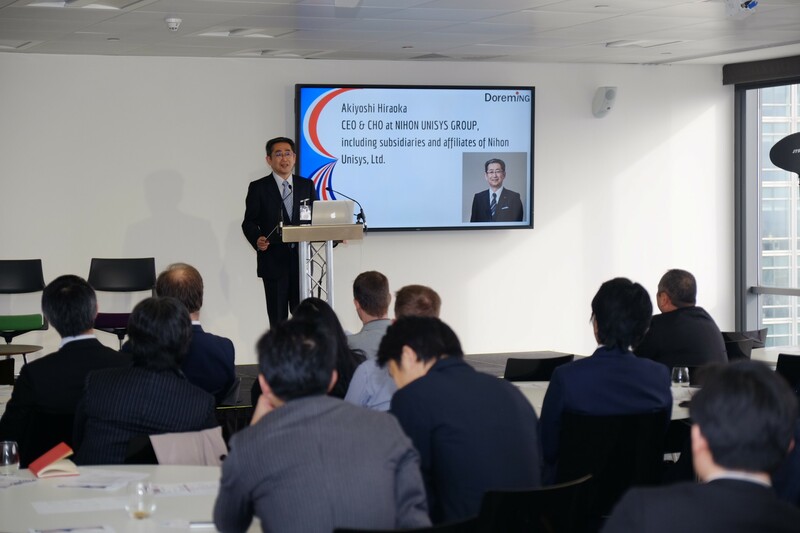 There were speakers from the UK HM Treasury, Department for International Trade, CDC Group, Level39, Innovate Finance and major Japanese companies at the event. 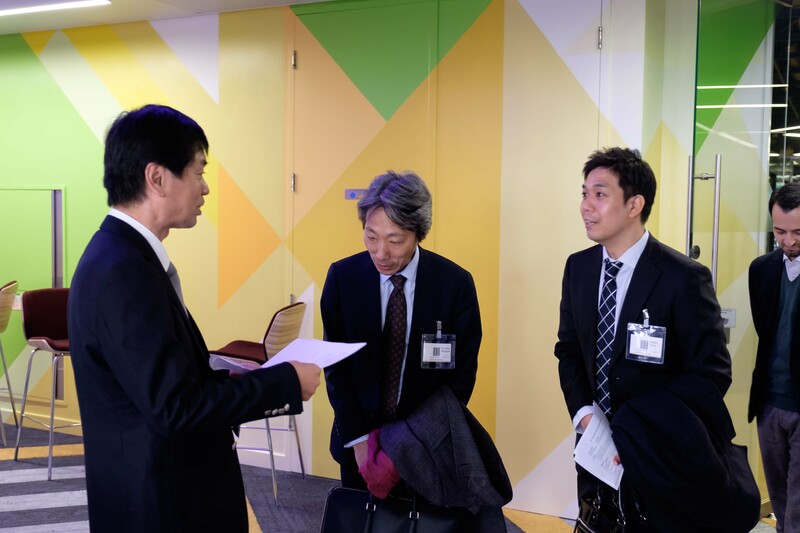 Masahiro wants to provide affordable financial services to workers through the help of employers. 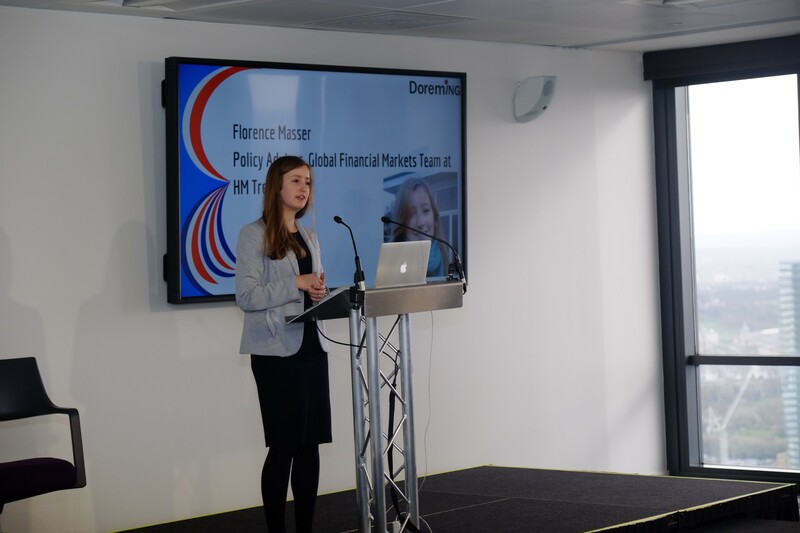 Doreming’s system allows people to receive pro-rata payments based on their accrued take-home value – the amount employees have worked minus taxes. 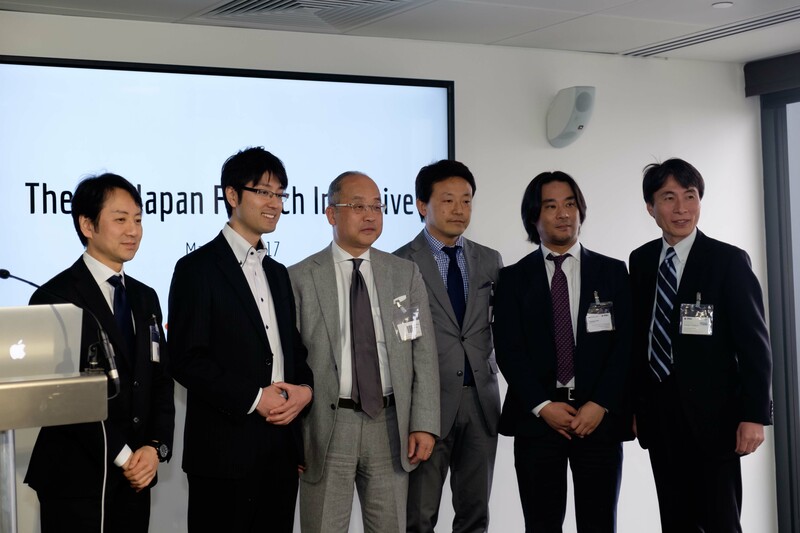 He is creating the UK-Japan FinTech initiative to promote collaboration between the UK and Japan to tackle financial inclusion and UN Sustainable Development Goals through collaboration. 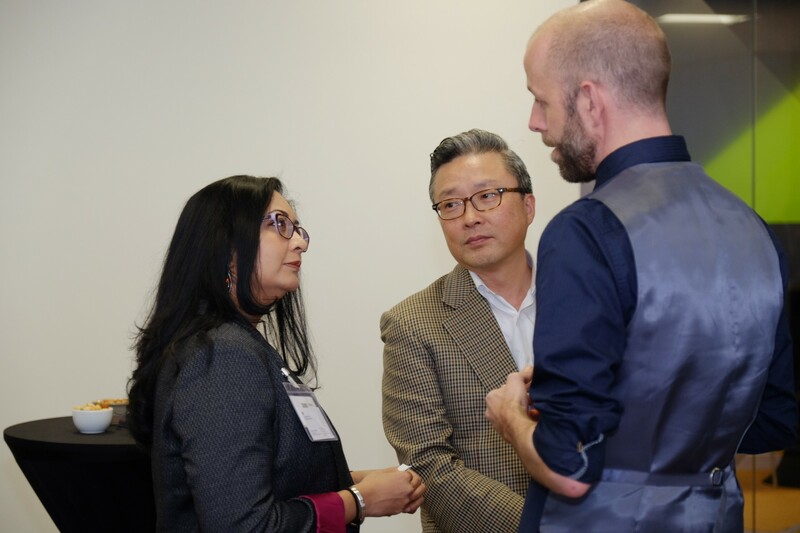 Nobel Peace Prize Laureate at Yunus Center. 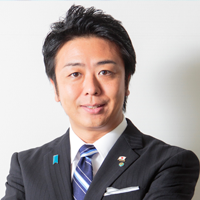 I am Soichiro Takashima, the Mayor of Fukuoka City. 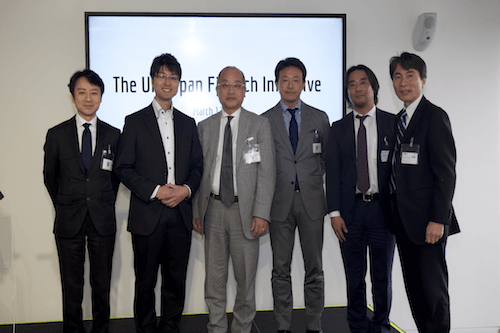 In Fukuoka City, as one of the pillars of our public policy, we are creating a “Start-Up City” where we proactively support new innovations and entrepreneurs that can help to solve social problems and new challenges. 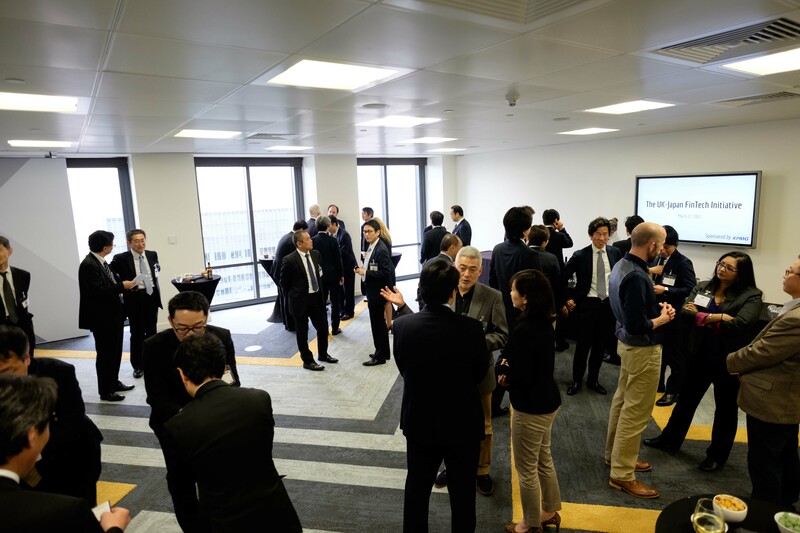 We are very happy to see Doreming, one of the start-ups established in our incubation center in Fukuoka city, is developing FinTech services being highly recognized to have potentials in solving social problems around the world, as well as encouraging global initiatives such as between the UK and Japan. 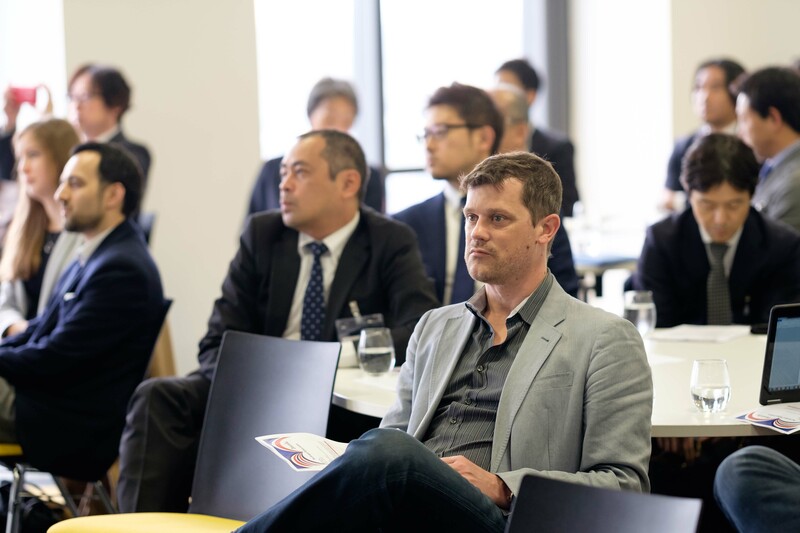 In Fukuoka-city, we are seeking collaborations with various cities around the world to further develop support for startups, so they can go global similar to Doreming. 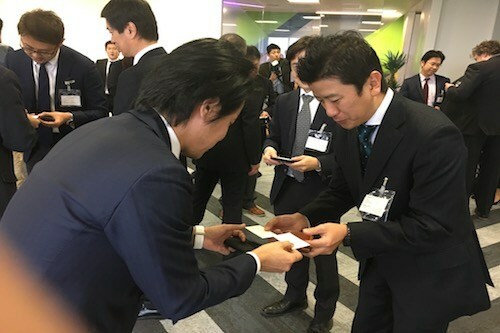 I hope that this kickoff event will be the first step to change the world through the power of startups and I look forward to your continued success in the future. 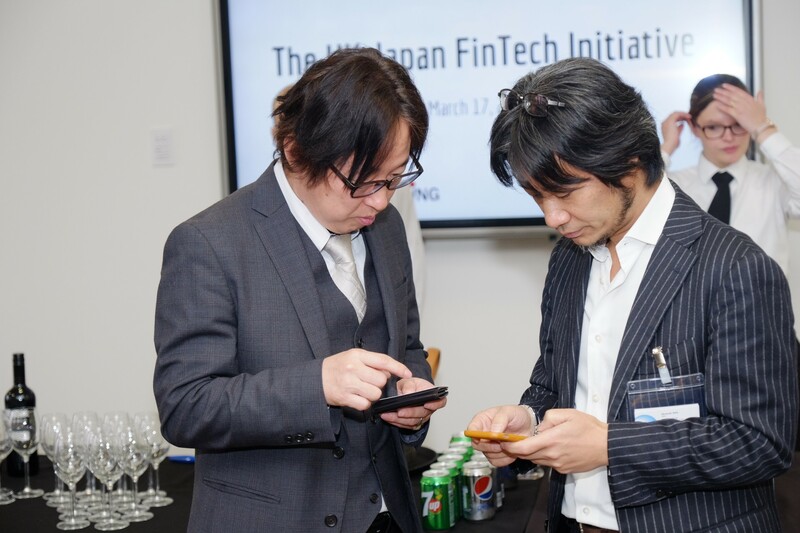 Social contribution business using FinTech and big business in the future. 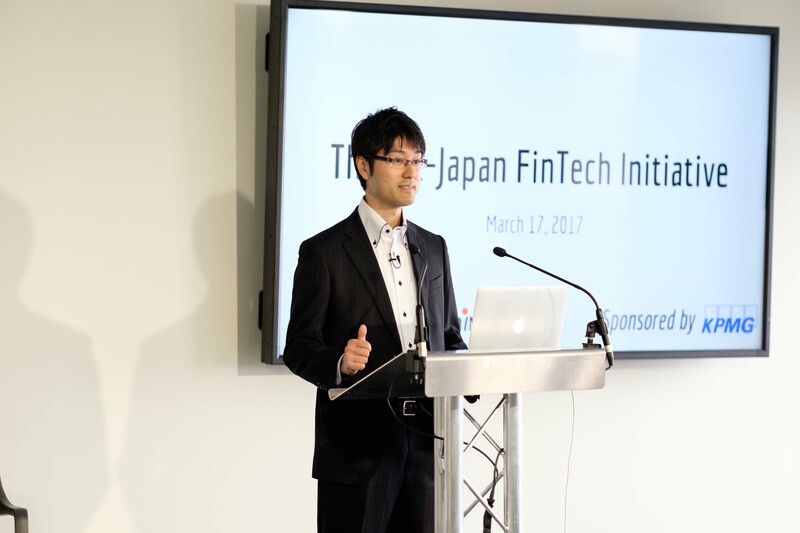 Masahiro displaying his audience how the Doreming system can improve the financial system and helping the underbanked/unbanked workers to be financially included. 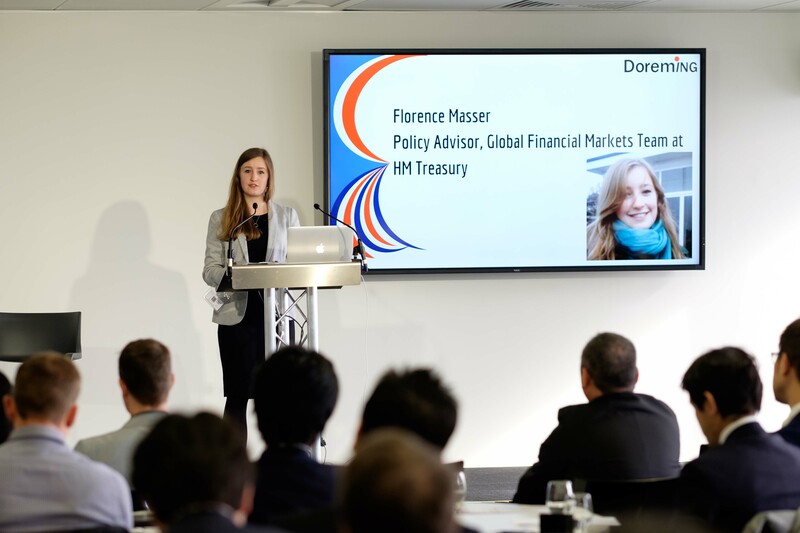 Policy Advisor, Global Financial Markets Team at HM Treasury. 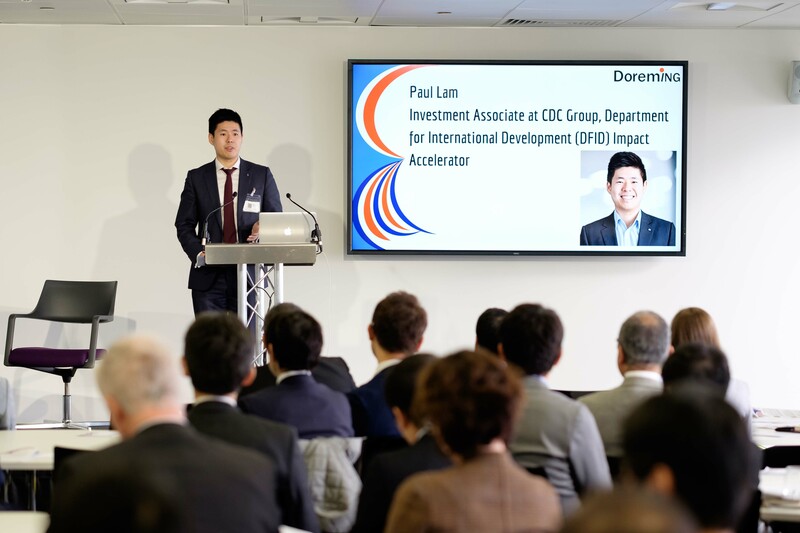 Investment Associate at CDC Group, Department for International Development (DFID) Impact Accelerator. 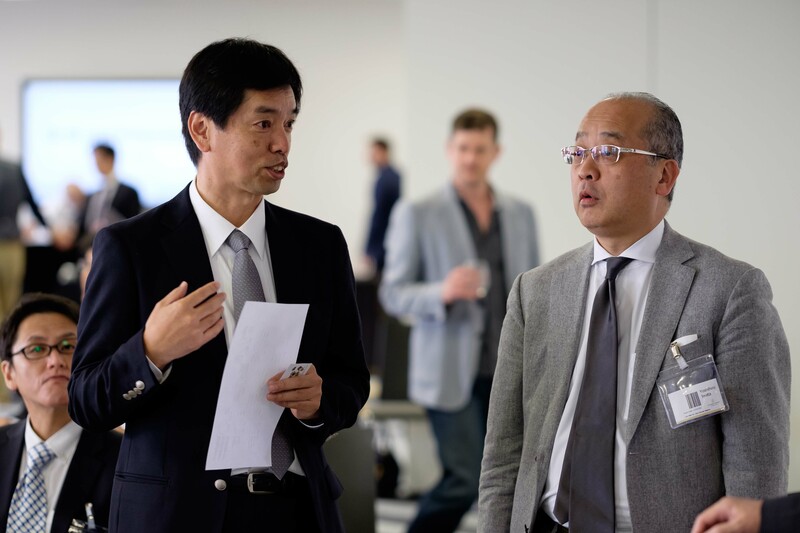 CEO & CHO at Nihon Unisys Group. 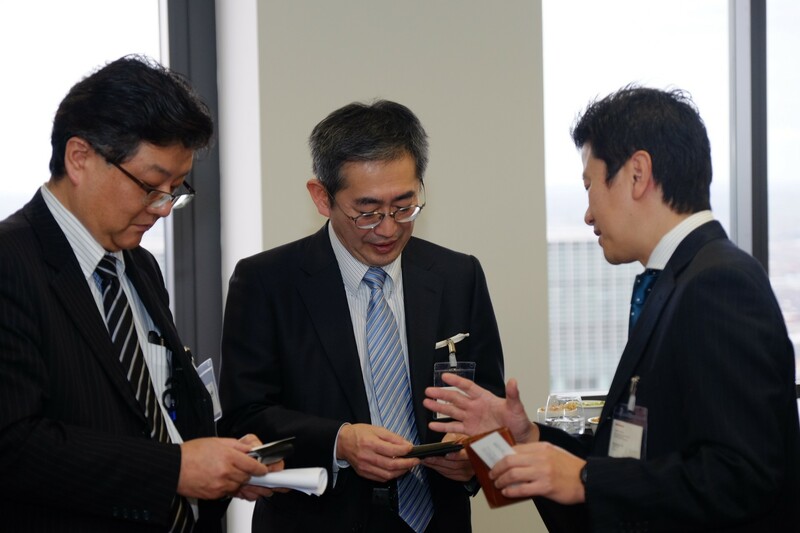 Director & Executive Managing Officer at Mitsui Knowledge Industry. 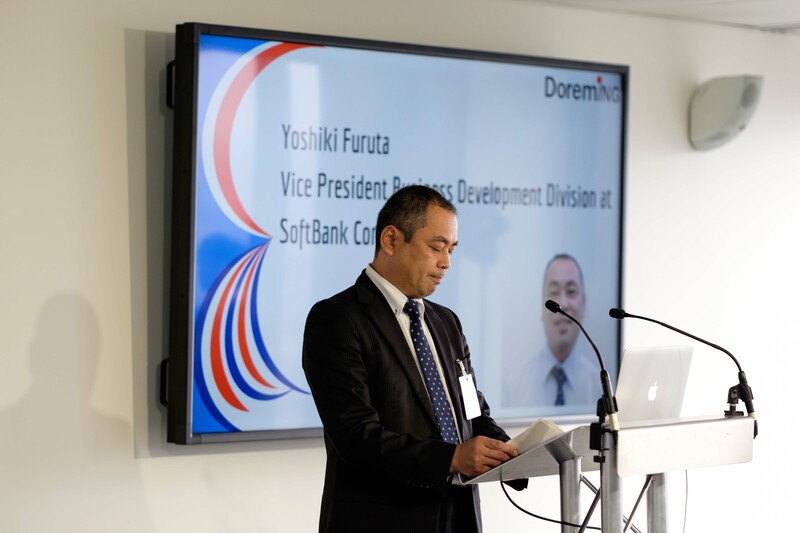 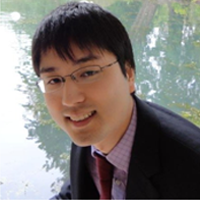 Vice President Business Development Division at SoftBank Corp.
Director Business Finance & Treasury at NTT DATA EMEA Ltd. 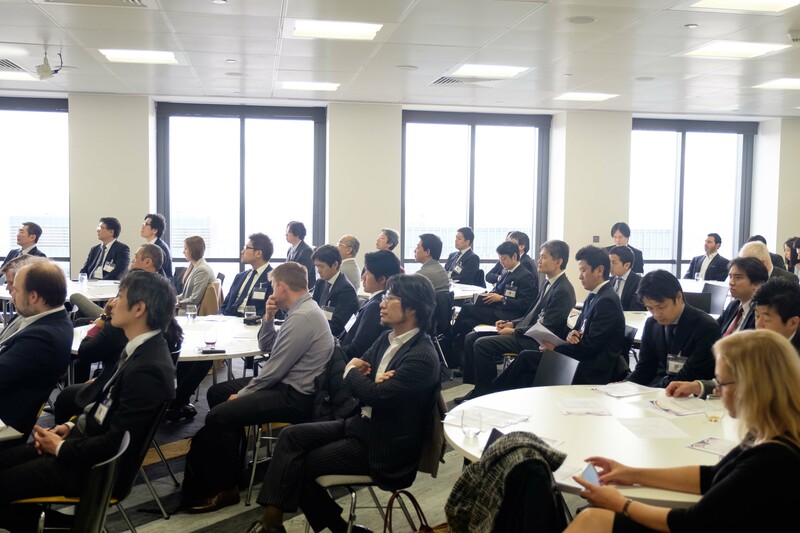 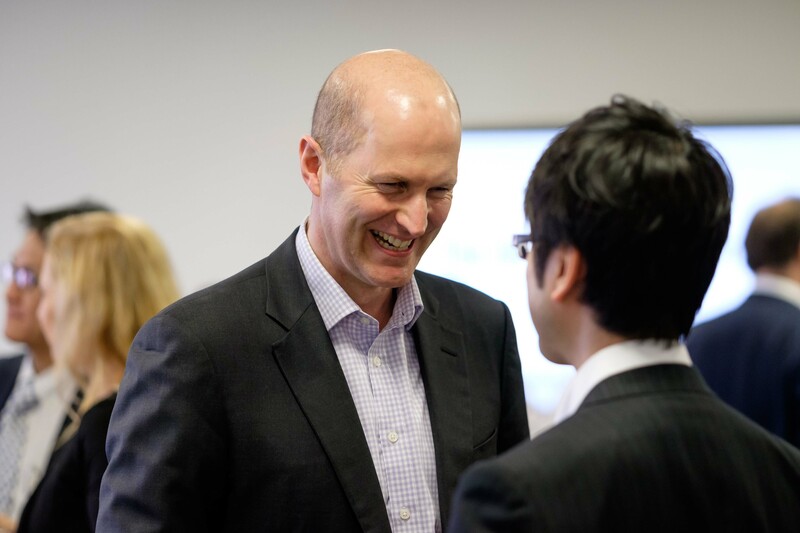 Thank you all for coming to our UK- Japan Fintech initiative and your presence helped make this Event a great success. 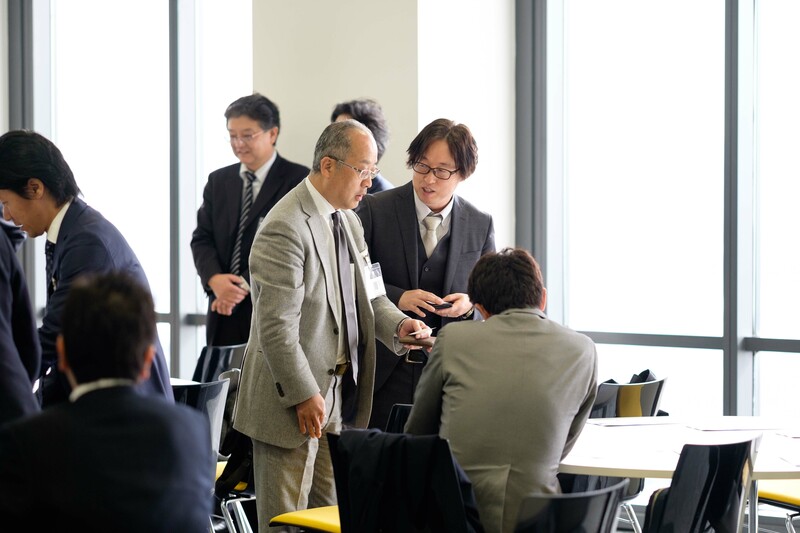 We hope you enjoyed the agenda and left with new connections and action-oriented follow-up activities for further engagement. 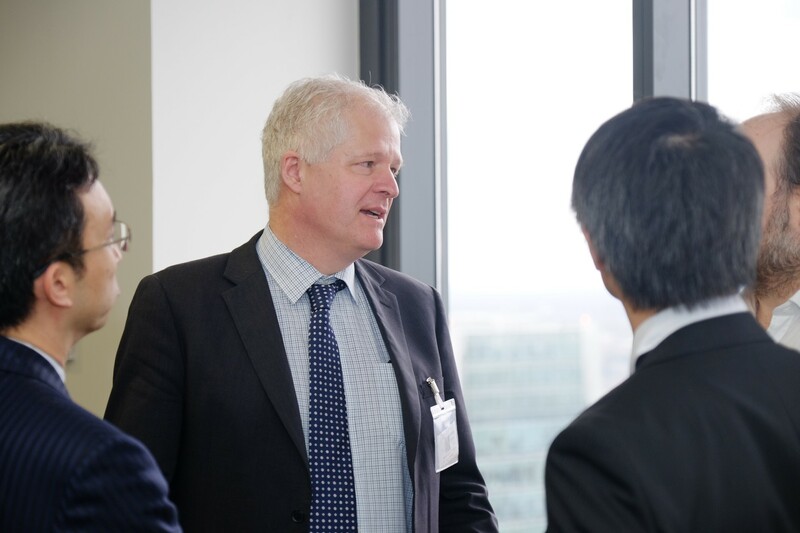 We would like to especially thank KPMG for their sponsorship and Level39 for hosting the event. 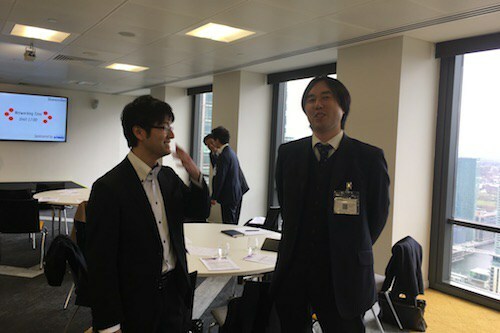 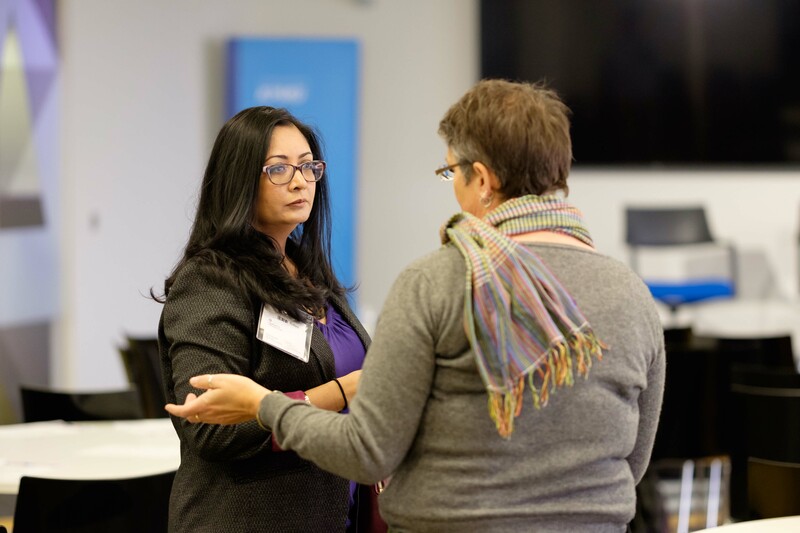 Thank you to Qurate, Newton IT, The Frameworks, Token for helping us at the event. 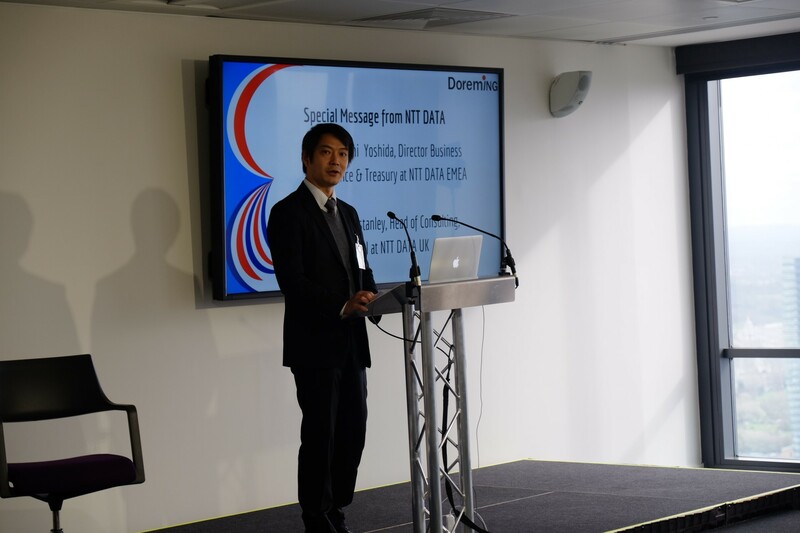 50 NTT DATA EMEA Ltd.